OBVERSE ATTRIBUTES: Liberty's Profile is doubled from her Hair to her Chin. While the Date is set a bit to the left, it still falls within the range of a normally set Date. Markers: None. REVERSE ATTRIBUTES: A triangular shaped Denticle impression is seen below the bottom inner feather of the Eagle's Right Wing. That feature matches some of the Denticle impressions seen on other Morgan Varities. A faint raised line is found at the edge of the Right Leg. And, the Mint Mark is tilted slightly to the left. Markers: None. This coin has all of the attributes normally associated with the VAM-22A1, and has been certified as a VAM-22A1 by the ANACS. 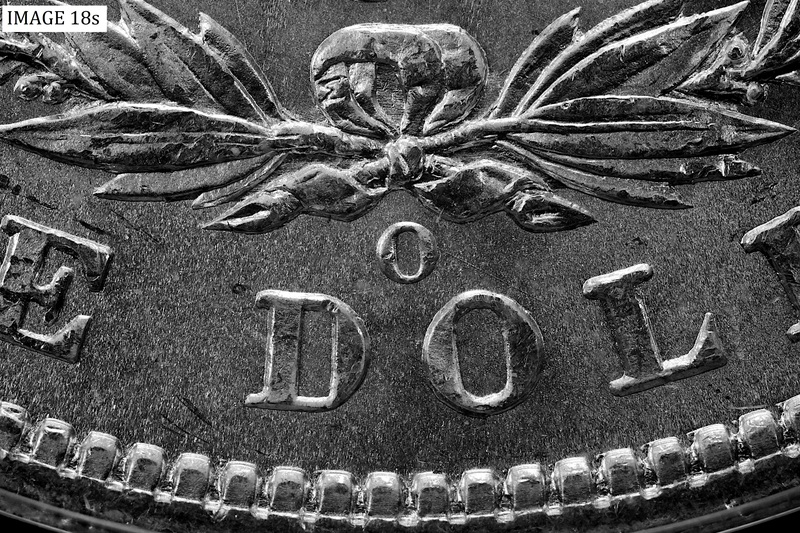 While the Mint Mark is tilted to the left, it appears to be set slightly to the right and high. Please see Image 18s in the Section entitled Photographs of Special Interest. 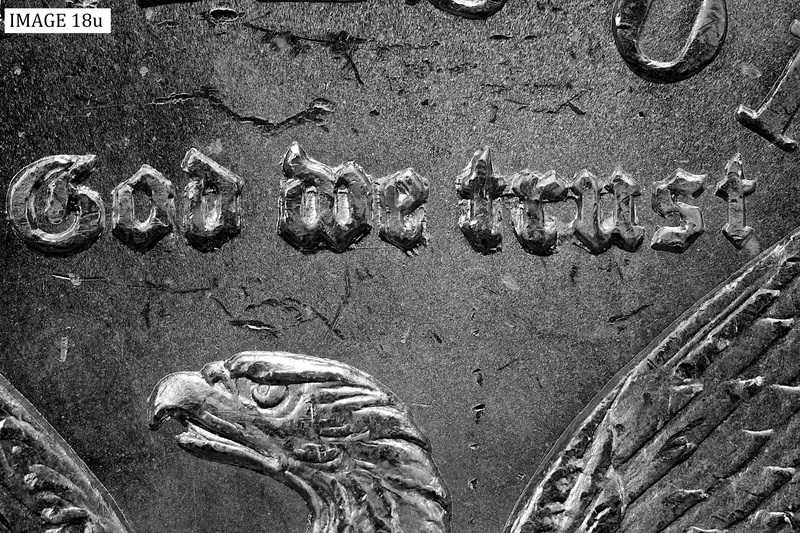 Hub doubling can be seen in the Reverse Motto, In God We Trust. Please see Image 18t and 18u in the Section entitled Photographs of Special Interest. 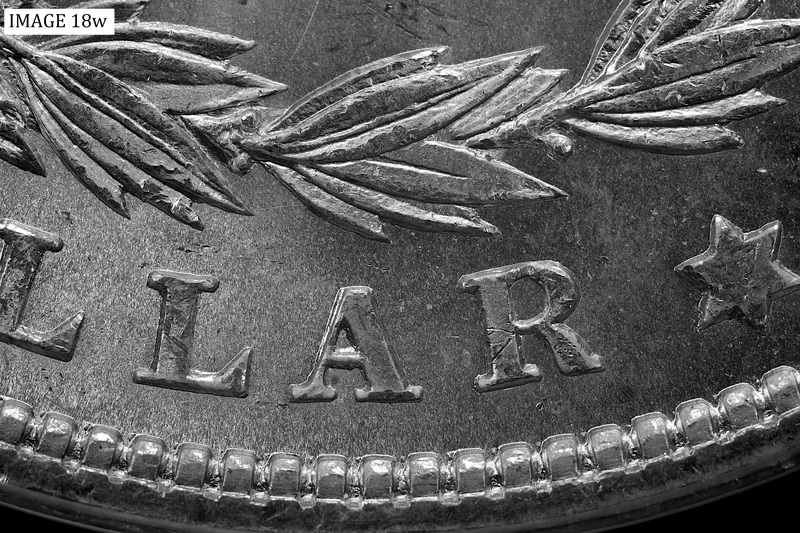 Similar hub doubling of the Reverse Motto can be seen in a number of Morgans minted during the years 1900 through 1904. Hub doubling can also be seen in the A of DOLLAR. Please see Image 18w and 18x in the Section entitled Photographs of Special Interest. This exact hub doubled A feature is also found on Morgans minted during the years 1900 through 1904. Comment: Doubled Profile (Arrowed). Comment: Doubled Profile (Arrowed). Comment: Triangular shaped Dentical impression and line exiting the Eagle's Right Leg (Arrowed). Comment: Tilted Mint Mark. 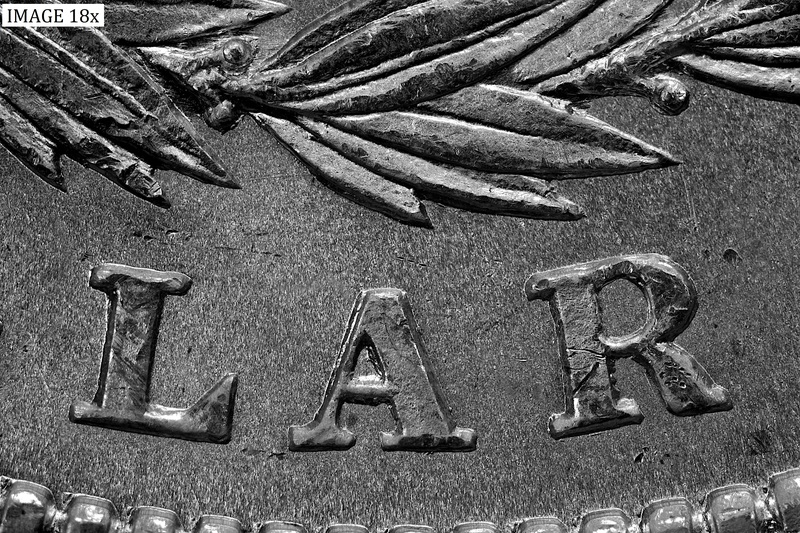 Comment: While the Basic Description of the VAM-22A1 only notes that the Mint Mark is tilted, this Mint Mark appears to be set slightly high and to the right, as well. 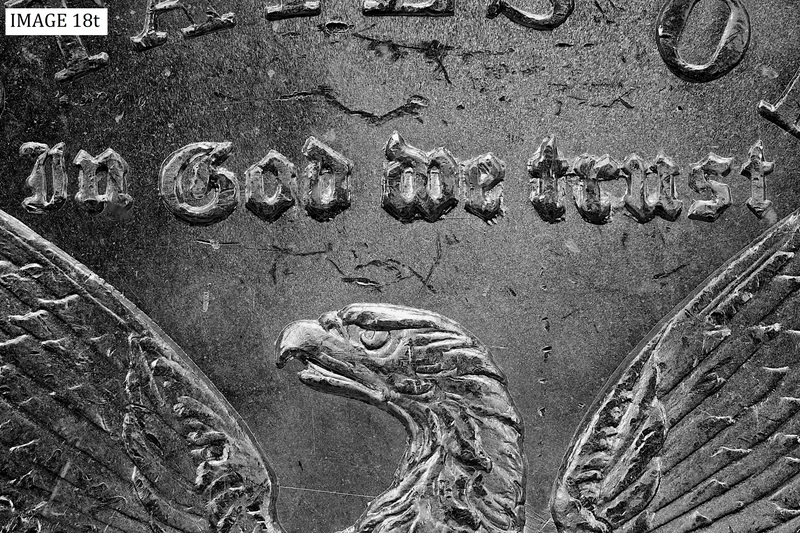 Comment: As you can tell, the Reverse Motto, In Good We Trust, is hub doubled. Comment: Comment: Also hub doubled is the A in DOLLAR.